CDW Canada Announces Completion of Acquisition of Scalar Decisions Inc. CDW Canada Announces Completion of Acquisition of Scalar Decisions Inc.
CDW Canada Announces Completion of Acquisition of Scalar Decisions Inc.
CDW Canada announced the completion of the acquisition of Scalar Decisions Inc., and as of February 1, Scalar will now operate as Scalar, a CDW Company. Scalar was founded in 2004 and has almost 350 coworkers serving customers across Canada. 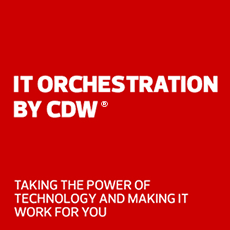 With a solutions-based approach and a reputation for solving complex technology challenges, Scalar will deepen CDW Canada’s technical expertise and capabilities in professional and managed services, infrastructure, security and cloud as well as extend in-market presence across Canada. The company has been widely recognized for its growth and industry leadership, including receiving the prestigious Canada’s Best Managed Companies designation from Deloitte, being named one of Canada’s fastest-growing companies by Canadian Business and gaining recognition as one of the Top 100 Solutions Providers by Computer Dealer News.